Digital World never sleeps. It works and grows consistently as it connects itself with devices like Smartphone, Internet, TV, Computers etc. The scope and growth of Digital Marketing has left non-digital marketers stunned. The demand has been growing and it has already changed the shape and future of Digital World. There are two main strategies which makes the digital world go round and round. The first strategy is “Pull Strategy” where consumer either seeks or already knows about the marketing content via internet, advertisement, text messages etc. In “Push Strategy” consumer doesn't seek any marketing content and marketer delivers the message without the consent of the consumer. 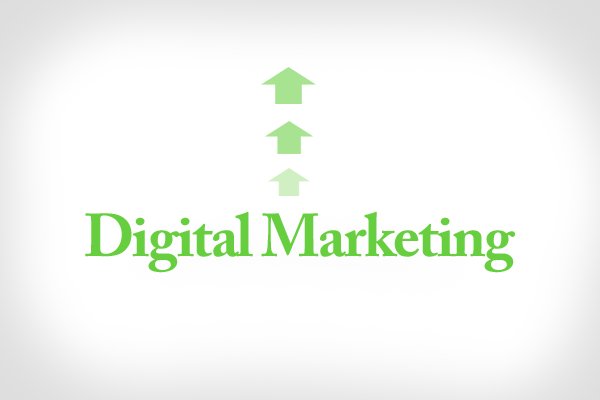 There are trends which have been changed in Digital Marketing over the period of time. Let's have a look at each of them. The monthly search conducted in US on Google is 12 Billion. Taking into consideration Facebook, it has also crossed 1 billion users in 2012. If we talk about the power, we can apparently see the way tech giants like Google, Facebook, LinkedIn, Twitter etc have been changing. Each day new applications are giving rise to more users and accessibility throughout the world. In Digital World, competition is always on the rise to introduce new applications from time to time. Currently “What's App” has been ruling the mind of people. Its popularity could be a reason that facebook is thinking about buying this application. Innovation is making its way with huge companies like Google, Amazon, Ebay, Facebook etc. Technology without an iota of doubt is ruling our world day and night. With availability of smart phones, everything can be exchanged in blink of an eye. Google announced in 2010 to approach the consumers with mobile first rather than any other medium. The mobile applications has also changed the scenario of digital world. Almost after an year, YouTube has gone into major redesign where they are inviting their viewers to subscribe. We don't love everything or Do We? Certainly not. YouTube gives a platform to like your favorite channels and videos which you like to watch again and again. It helps you in knowing which new video has been added and what your friends like to access. According to survey it has been reported that Search Engine Marketing will grow by $20 billion in 2012. The search re-targeting will help you in targeting people who have visited your website but were not converted into long term customers. It sounds logical and results in winning the customer for the lifetime. There are people who update their facebook page everyday but they don't know how can it be made more social and lively. If you look at the genesis of 2012, now the focus has been shifted from likes & followers to comments & share. Given a chance marketers would love to see every person with some sort of technology gadget to connect themselves with Digital world. If we look at the time how it has been changed. These days people are blessed with availability of laptop, smartphone, iPad, Notebook etc. The base of digital market has become strong and vibrant with its features like Location Services, Integrated Marketing a nd Customized applications. Everything is available at your doorstep the only thing required is updating yourself with new applications in the market. With Location Services, you can earn points, reward and promote yourself. Integrated Marketing helps you in reaching the customers by providing relevant information and Customized Applications allows the user to be more interactive and lively on the internet. As days are passing we will enter into 2013, Digital Market will rule the world with more new applications. A large chunk of people are owing their website and wish to earn by leaps and bounds. For the best hosting plans you can visit Hostgator World. Google is introducing dial ups for the marketers so that they can easily advertise and reach people. Along with google, facebook is also introducing the same application so that it will help both the companies in Google ranks. HTML 5 will make this application available for people on the mobile devices so that it can be easily accessed by them on the browser. With paid search and other advertising schemes, mobile marketing is going to capture large base in years to come. To be concluded, Digital Marketing is the solution to all the outdated and traditional ways of marketing. It has improved the standard of living of people. They can easily access any application on their devices which connects them to the internet. Years ago, nobody thought about the way things are taking place with the help of social platform. The present and next big thing is Digital Marketing for sure.